Following on from '6 EPI' and '6 EPII 'vinyl exclusives, 6 EP lll is a full digital release with 200 vinyl copies and artwork specially screen printed by RELISH label head Robi Insinna. 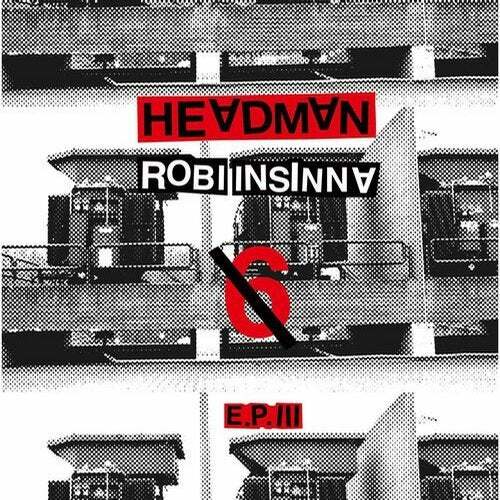 The release has 3 remixes by Manfredas, Alejandro Paz, Shift Work and Reworks and Dubs by Headman/ Robi Insinna. There will also be 2 Videos done by Robi, one for 'Something' and another one for 'Work' Manfredas version.Manfredas, who released his single last year on Ivan Smagghes LDdlm, remixes 'WORK'. The additional lyrics are by Autarkic an upcomig singer / producer from Tel Aviv who is part of the Red Axes stable.Alejandro Paz of Mathias Aguayo's Comemé label who has released tracks such as 'Duro', remixes 'TAKE ME TO THE TOP.' The remix reflects his raw dance floor approach whilst adding rhythm and groove to the original.Shift Work a new London based electronic project, who made their debut on Optimo Music, remix 'SLEEP RED!' They've been described as "Machine music for hypno dance floors and home listening trance outs" .Track 4 is Robi Insinna's own rework of 'SOMETHING' feat David Shaw on vocals. Robi's aim was to reinterpret the track, extend it and play around with the music as well as retouching and mixing the exsisting sounds. 'NUMBER 9' was also newly mixed with a new arrangement as well as extended. 'DONA' featuring Rosie from Ballet School, was given a dub treatment with a more monotonous driving groove and stripping down the original elements, like Bass and Synth dubbing out Rosies vocals.Finally comes 'TAKE ME TO THE DUB' Version, now with a a real dub feel, muting things out and dropping them in again.